I had a new addition to my Card Club group last month, so I wanted to make sure her first delivery was extra special! 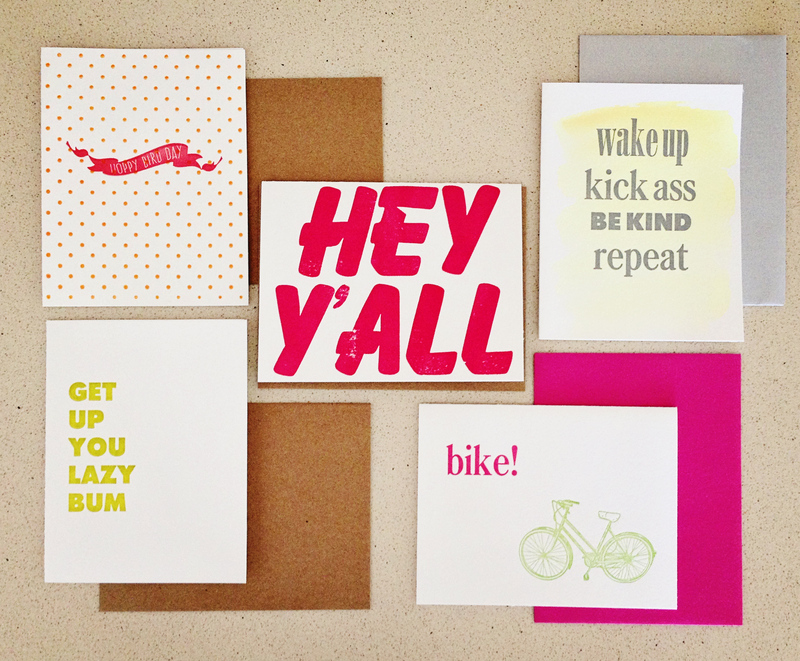 I sent over a few of my cheeriest favorites along with a long-out-of-print “bike!” design, and a hand-painted card-version of a print I created a few months back. As always, you can join 622 press’ Card Club here!